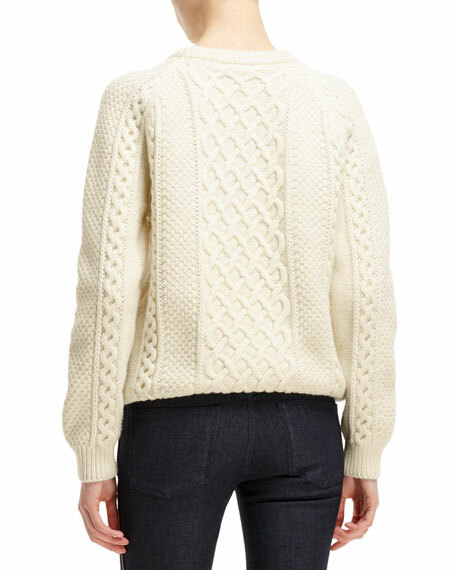 Alexander McQueen mixed cable-knit sweater with ribbed-detail. 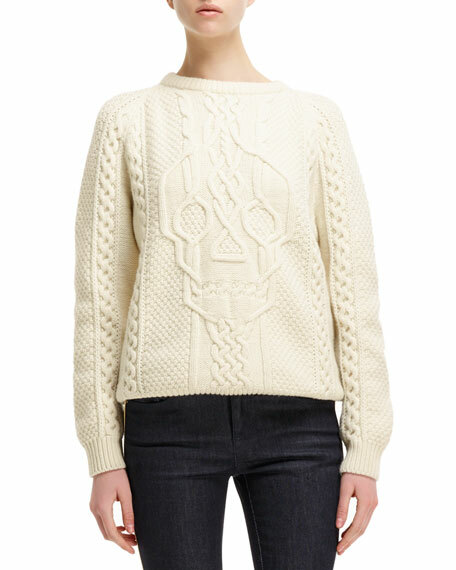 Engineered signature McQueen skull design at center front. Hem hits at hip top. r>Model's measurements: Height 5'9.8"/177cm, bust 32.75"/83cm, waist 23.5"/60cm, hips 34"/86cm, dress size US 2.